Stardust dancing. Chaos splitting. We’re spinning, spinning . . . And I once pondered—am still pondering: What are these symbols—these words—that grow from those moments of connecting the disconnected? What are we if not the clearest representation of the beauty of a broken world? We are writers. We endure our inner-workings falling apart—falling together. Falling, all the same. Falling . . . words often give me that sensation, as if I am falling up, toward a far-away point-of-no-return. Toward a reality that’s waiting just around the corner. My reality, a star—or dust—or some flickering light in between. I have always seen words through gradients of potential: my potential savior, my potential weapon, my potential pain, my potential voice, my potential a glimmering supernova: the death of a star, not the birth of one. Go out with a bang, right? Chaos doesn’t require a map. Neither does writing. That’s my problem. I’m always trying to define it: this wordy existence. But words often define themselves in layers (more gradients). I once analyzed poetry as a connection of systems: weave together unrelated systems with metaphor, build these abstract and complex meaning patterns (that probably no one else but me understands) based on the familiar systems we interact with on a daily basis. But words, though systematic in nature, are derived from something more illusory and subtle (or not-so-subtle, depending on your muse), from meanings we grow from ourselves and then define for others. The goal is simply to contain the energy enough that at least one person sees the burning mass at the center. And that’s why I write, why I’ve always written. Not necessarily to create—to give birth to new stars—but to write about the dying ones, the chaotic universe in my own head. To write about the in-between places, to create my own internal systems. Words give me the means to evolve—to make potential my reality: spinning spinning and stardust all the same. How does chaos find its way into your writing? Let me know in the comments! I haven’t been doing a lot of pondering lately, which is probably a reflection of my (non-existent) creative climate. We all have our cliché highs and lows, and I can honestly say after an all-time staggering low, my writing life has all but disappeared. Normally when I find myself among the soil in those trenches, digging up worms, kicking rocks, trying to find a ladder, or a vine, or a hand, recreating wings, I have turned to words, not away from them. I have always written myself into life again, sustained my sanity, uncovered answers. I have whined and rejoiced and pondered my way into some form of better, hopefully more coherent me. Always. With words. And then I quit. Suddenly those words, which had always sustained me, gave me no pleasure or respite or even pain. In a lot of ways, they had betrayed me, or I them. I had squandered them on an unbeing. I felt as if I had been erased. Or as if in writing those words to define this other person, to write them into beingalive, I had started unwriting myself. I was lost. Something was missing. A word or a letter or a sound. Some voice in my head had just fallen silent. So I did what I imagine some proud, annoyed writers do. I quit. I quit writing on The Sarcastic Muse, I quit writing my own work, I quit writing myself. I found other outlets, albeit not creative, to distract myself. I’d hear echoes sometimes, characters whispering. Sometimes I’d pause long enough to listen, catch a remnant of a conversation, distantly waiting, but I’d catch myself. Turn away. Resist. I don’t have a solid reason or an excuse or even an understanding as to why I have avoided words. All I know is that they have sat in waiting, like a reflection on a dark pool. My ghosts. Writers can’t stop writing. We die. Or something in us does. ee cummings wrote that “unbeingdead isn’t beingalive” and I find it linguistically interesting that he compounds two synonymous words in order to form an antithetical meaning that clearly forms yet another parallel antithesis: unbeing [the act of not being] + dead [not being] == [the act of not being not being] =/= being [the act of being] + alive [being] == [the act of being being]. In the act of not writing, was I unbeing dead rather than being alive? And in writing this now, writing a bit of myself for the first time in months, am I beingalive and burying a little more of the unbeingdead back into history? Is this the notion of rebirth? 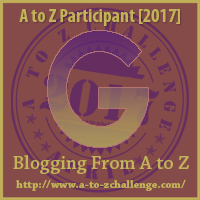 I have started this A-Z challenge with Robyn. I am writing myself into Alive, a tiny stumble into the beginning, a swim-upstream kind of challenge, but I am relieved, almost, to feel beingalive: to feel Alive like a small particle in the river, to drift, to rush, to maybe hit a wordwall waterfall. Or to drown in that smooth river way. Are you writing yourself Alive? Writers cannot edit their own work beyond a certain point. Yes, we may be able to fix crucial plot problems and catch quite a few spelling and syntax errors on our own, but after a while, no matter how sharp our eyes, how well-trained we are, how many times we read the story, we’re going to eventually stop seeing the problems. How do I know this? Well, I see it a lot even in heavily edited manuscripts. But also, it just recently happened to me. In other words, I’d written the wrong homophone. Then I laughed. All of the Muses had read this story at one point or another and yet not one of them caught that mistake either. I myself have combed through the piece a thousand times. But my friend—a non-native English speaker, in fact—saw it within seconds. Get other people to read your work. 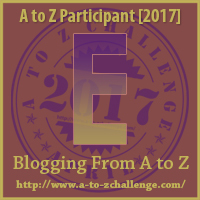 Not just your writing buddies, not just your critique group. Find an assortment. Non-writers, for instance, may see the story more as a reader would see it. A programmer (as my friend is) is accustomed to noticing small errors and may be more detail-oriented (but in a different way than your average writing editor). Different people will see your story in different ways. You’re not obliged to implement all of their advice, but fresh perspectives may offer new insights. They may also save you from small embarrassments. Now, if the literary magazine truly wants to publish my story, they’ll probably overlook the “course” error and allow me to fix it later, but proofreading is an essential part of the manuscript preparation process. When you think your work is as perfect and shiny as it can be, find someone who has not yet read the story to read through it again for you. The more people who read it, the better your chances of finding those lingering errors you no longer see. Even editors need editors, after all.